Breakfast, Lunch, Dinner, Dessert, and More in the Queen City. Every day of this hateful new regime is a good day for comfort food, especially when you live in — or are visiting — serious swing territory. Hamilton County went blue in November, as did other pockets around Ohio’s major cities, but the state as a whole . . . well . . . did not. And no matter where you are in Queen City Cincy, you are bound to see some bumper stickers that remind you where you are. Here is a day well-spent in pursuit of Cincinnati comfort food, with a suggested intermission for digestive purposes. 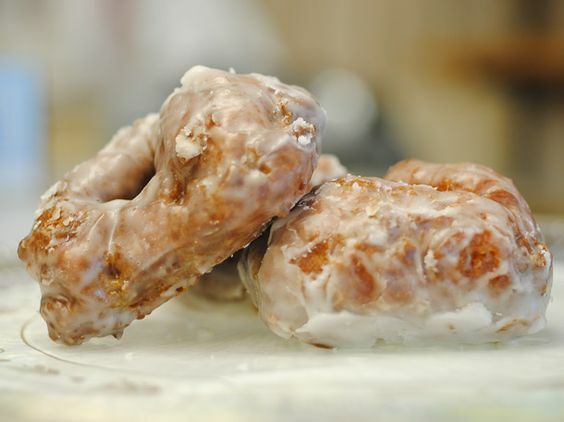 Cue ball sized and cue ball dense, these fried cake doughnut things will ease you into morning. Best enjoyed dipped in coffee in complete silence. 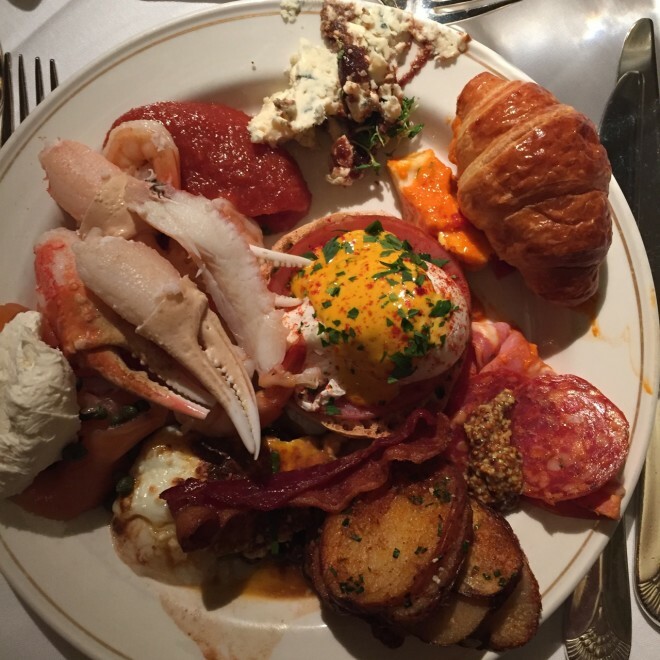 Once you’re ready for real breakfast, or lunch, or both, this buffet keeps the bathrobe-and-slippers vibe steady: eggs poached and omeletted, various morning and afternoon bread products, plus shrimp cocktail, king crab, prime rib, and — star of the plate — fried chicken. Finish up with one of a thousand tiny desserts. And more coffee. Yes, there are dead people, and there are also a lot of alive people jogging around here for their health. Spring Grove hosts walking groups (also weddings) and offers a tranquil place to get some fresh air while contemplating your mortality and walking away from that brunch. For some reason a lot of families take their holiday card photos here. 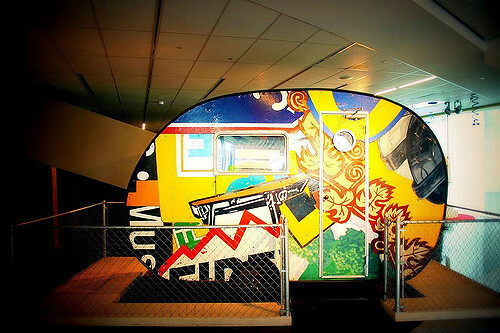 Huggable sculptures, a bus stop with a shark sculpture, some trippy TRON-like light and sound installations, and other fun-for-all-ages exhibits rotate in and out of the CAC’s children’s floor. A fantastic place to work up an appetite — play until you’re hungry again! Where else? “There’s one in your neighborhood,” says the website. 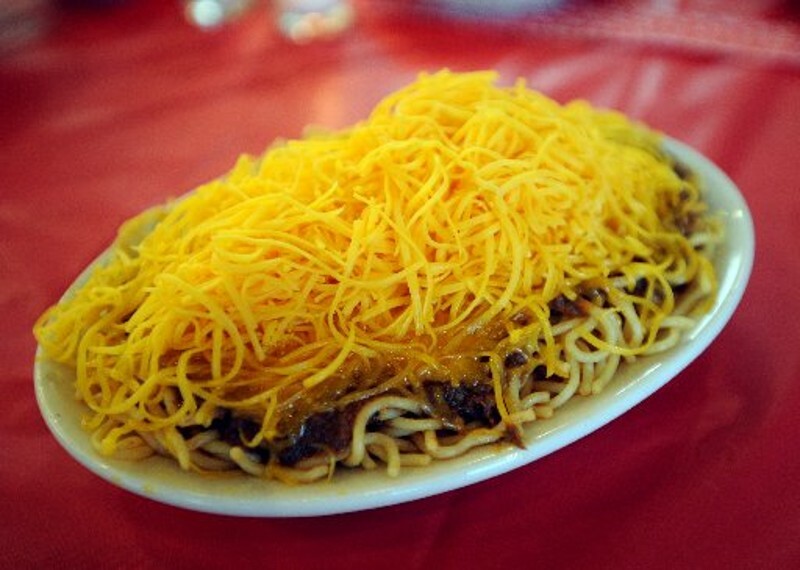 Specialities include the cheese coney (a cheese-covered hot dog) and the chili itself, which perches on a bed of spaghetti, dressed in cheese, onions, and beans, as you like. These variations are referred to as “ways,” as in “3-way,” “4-way,” and “5-way.” Top with crumbled oyster crackers and go to town. A signature Cincy dinner deserves a signature Cincy dessert. 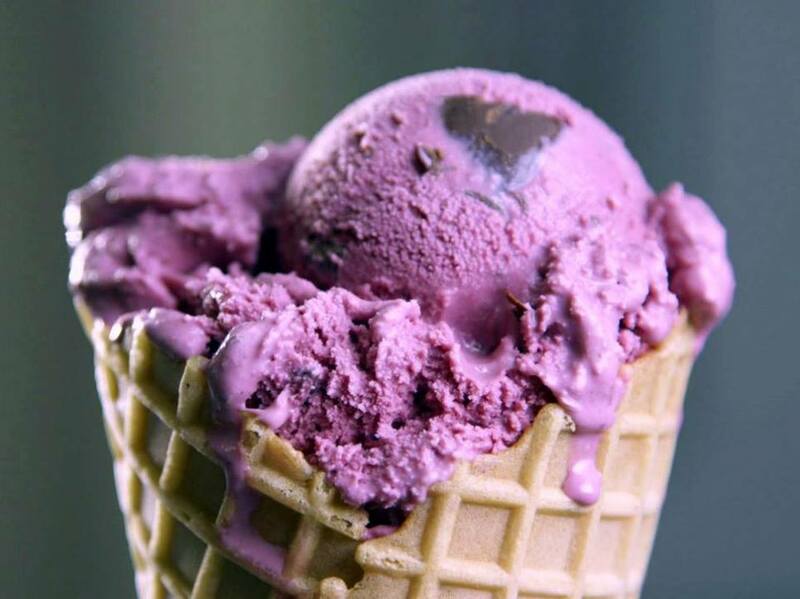 Black raspberry is local family-owned, 145-year-old Graeter’s signature, all-time best selling flavor. Eat it there, or get it to go and enjoy on the couch, hand tucked under your belt, in front of “The Bachelor” for real. AHHHHHHHH. Chaia has also written about popsicles and planning a bachelorette party in New York City.